A transformer transfers electrical energy between two circuits. It usually consists of two wire coils wrapped around a core. These coils are called primary and secondary windings. Energy is transferred by mutual induction caused by a changing electromagnetic field. If the coils have different number of turns around the core, the voltage induced in the secondary coil will be different to the first. Transformers are based on the theory of electromagnetic induction, which was discovered by Michael Faraday in 1831. It was not until 1836 that the first device, an induction coil, was invented. William Stanley, who designed the first commercial model, introduced the term "transformer" in 1885. 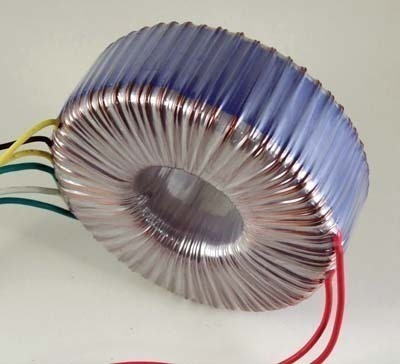 The two major types of transformer are laminated cores and toroidals. Laminated cores are those common cube-shaped transformers, which are used in power adapters. They are stronger and cheaper than toroidals. Toroidals are smaller and lighter, for the same power rating. They also produce less electrical noise and are more efficient. The secondary winding can be joined in series to double the voltage or joined in parallel for higher current. 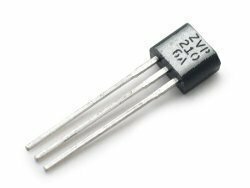 Other types of transformers include the variac, audio, and balun. 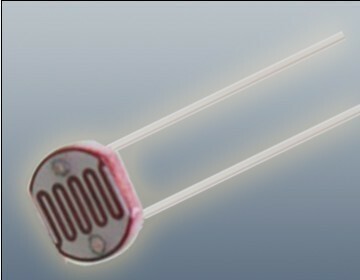 Variacs have a movable carbon brush that connects to the winding, providing a large range of voltages. 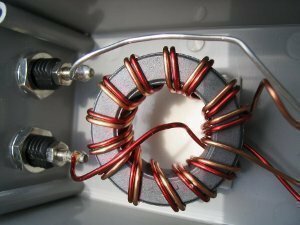 Audio transformers are used to amplify signals and drive speakers. Baluns are short windings that convert impedances, such as those between a television and an antenna. 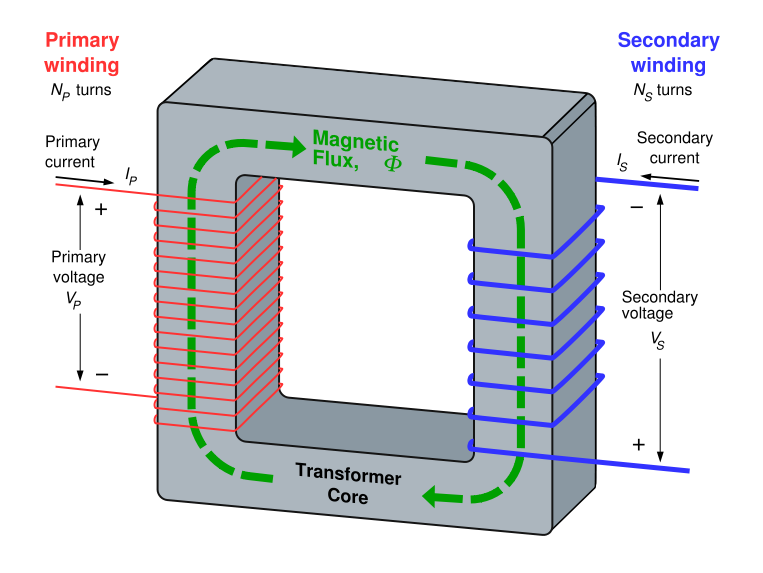 Alternating current in the primary winding creates an electromagnetic field that induces a current in the secondary winding when the field changes. Small transformers use enameled wire for their windings, while large transformers use insulated copper strips. Transformers can be single winding, center-tap, or multi-tap. Center-taps have a terminal at the middle point of the secondary winding, which has half the voltage of the end terminal. Multi-taps have many terminals along the winding, whose voltages depend on their locations. The purpose of the core is to direct the electromagnetic field through the secondary winding. Silicon steel cores are used for their high magnetic permeability. The insulated laminations work better than solid cores, by confining eddy currents, which reduces their losses. Transformers are mainly used to convert one voltage to another. The process of increasing the voltage is called "stepping up", while decreasing the voltage is called "stepping down". Most electronic equipments need a transformer to lower the mains voltage to a usable level. 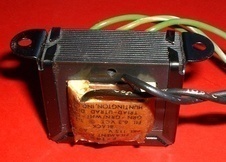 Transformers are also found in power adapters and battery chargers. Inverters are transformers which step-up a low voltage to a higher voltage, allowing a mains powered equipment to run on a battery. Additional circuitry is required to change the battery&apos;s direct current into alternating current. Transformers are used for electricity distribution to minimize energy loss over long distances. Higher voltages allow for lower currents, which reduces the losses caused by resistance. 199 queries in 0.569 seconds.